Karina's Kreations: Stampin'Up Countdown to Sale-a-bration Day 3! Stampin'Up Countdown to Sale-a-bration Day 3! We're on day 3 of my Sale-a-bration countdown! I hope you are as excited as I am. 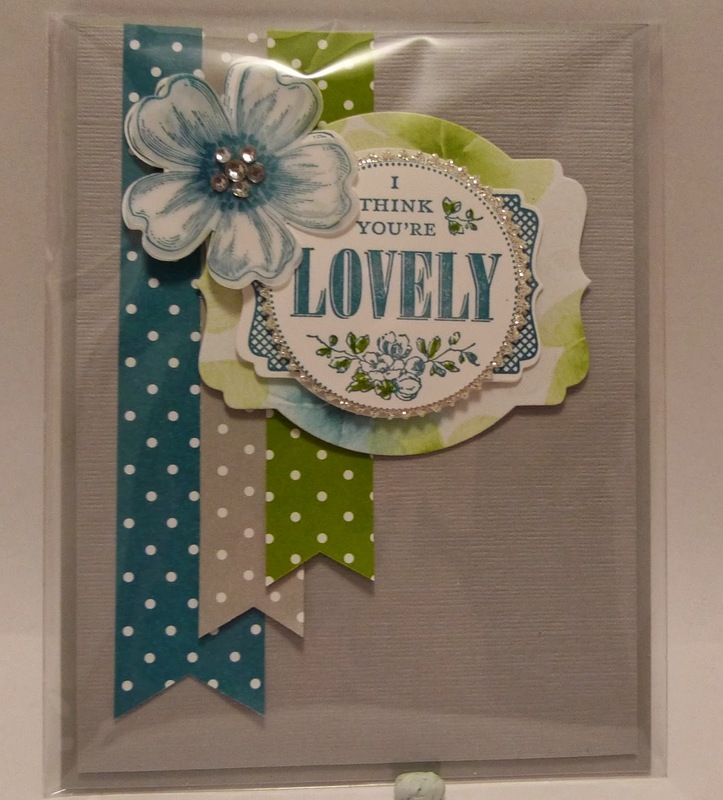 My card is a swap made by Lorna Raczynski. Lorna stamps amazing cards which such fine attention to detail! She used the Sale-a-bration stamp set You're Lovely # 133575 (wood Mount). The greeting was stamped in Island Indigo Ink on Whisper White card stock. She used the Deco Label & Starburst Framelit Dies. Four packs of Designer Paper were used, Watercolor Wonder, the Neutrals & Regals Color Collection Designer Paper Stack & the 2012-2014Designer Paper Stack. The flower Shop stamp set and matching Pansy Punch added a nice layer to the card. You can get the You're Lovely stamp set for free with a $60.00 order.